Last year, Metallica announced the formation of All Within My Hands, their foundation that aims to assist and enrich the lives of members of the communities who have supported them for so many years, as well as encourage participation from fans and friends and facilitate volunteerism among the Metallica family. For more information and a list of participating food banks, please visit metallica.com and allwithinmyhands.org. 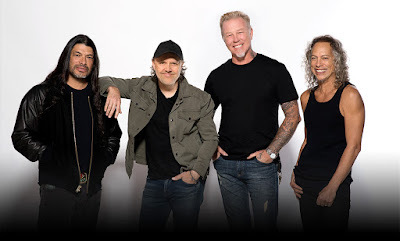 Currently on a two-week break from a European tour in support of “Hardwired…To Self-Destruct”, the band will join Major League Baseball’s San Francisco Giants for the 6th annual Metallica Night at AT&T Park on April 23 before resuming the trek in Munich, Germany on April 26.